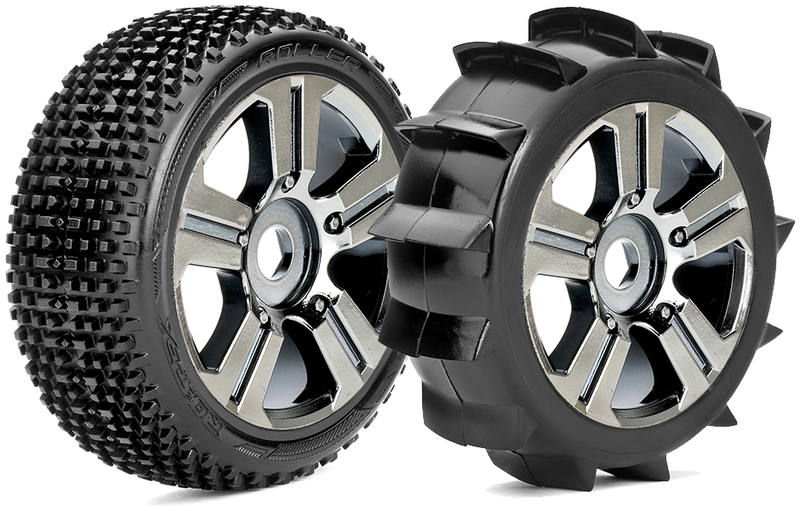 HRC Distribution / Roapex are pleased to introduce the ROLLER and PADDLE 1/8 tires. 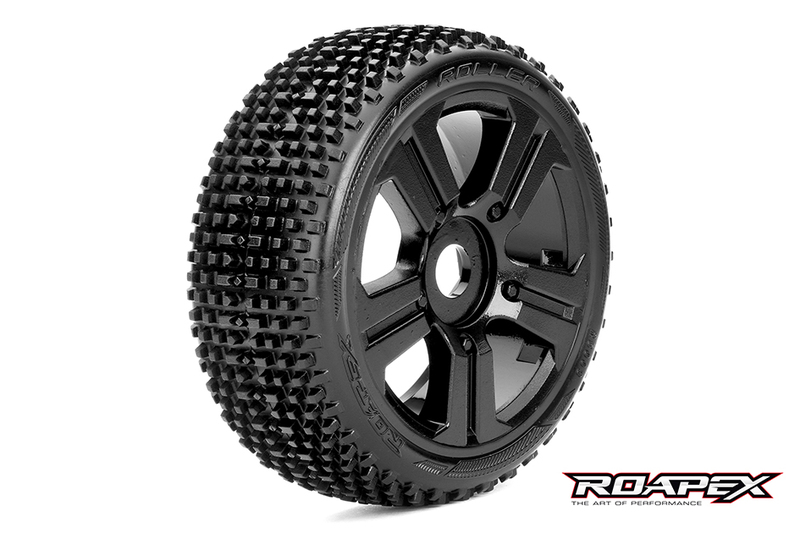 These tires are completing the new ROAPEX tires range. The ROLLER and PADDLE tires are made of high quality soft compound which provide high grip in any usual condition, and are mounted on standard 17mm hex black or chrome-black wheels. 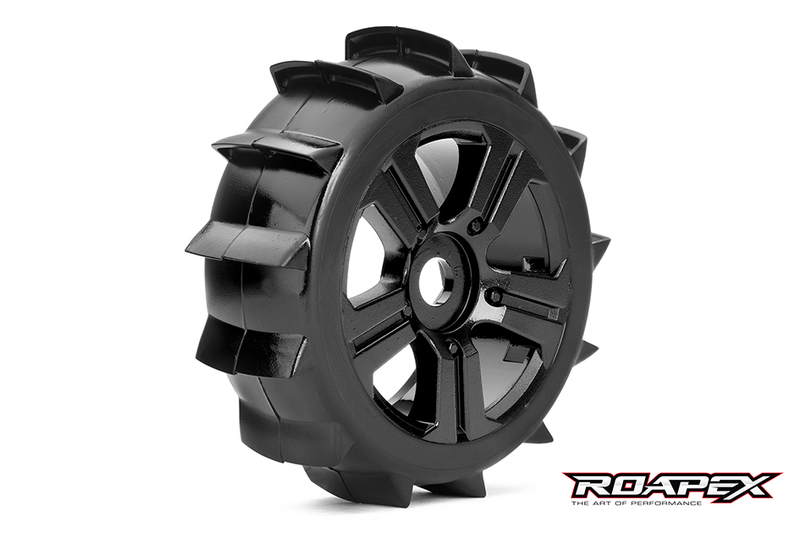 The ROLLER is designed for 1/8 Buggy off road application, with multi square pin profile. The PADDLE is designed for 1/8 Buggy off road sand & beach application, with very particular and typical paddle profile.